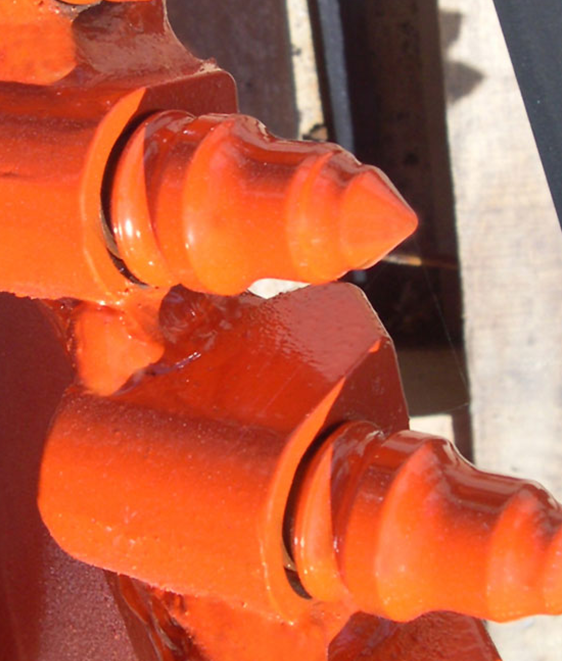 ML Utilities provides a complete line of dirt augers, foundation tooling, and auger drives. We carry the best augers for the electrical utility industry and foundation markets, designed specifically for your jobs. We carry different augers for different situations, so that no matter where you are, you're covered. Whether it's dirt, sand, silt, clay, gravel, fracturable or unfracturable rock- ML Utilities has the tools you need. Just one auger has limitless possibilities because of multiple accessories that can be equipped. An extension shaft adds 72″ to your effective drilling depth, and rock ripping shanks make tough soil a breeze to work through. Get the job done fast, and get it done right. ML Utilities offers a selection of auger accessories like adapters, teeth, pilot bits, rock ripper shanks, carbide teeth, dirt teeth and more. We are your one stop shop for foundation tooling and parts. If you need more power, ML Utilities also provides three sizes of Digger Derricks for rent.